I have found almond butters to be quite pricey in the store. And, they are not very digestible and nutritious compared to what I can do in my own kitchen. I finally have found the trick to making your own and I don’t think I will ever go back to store-bought. The main reason is not even the price. It is because store-bought is hard on my digestion. 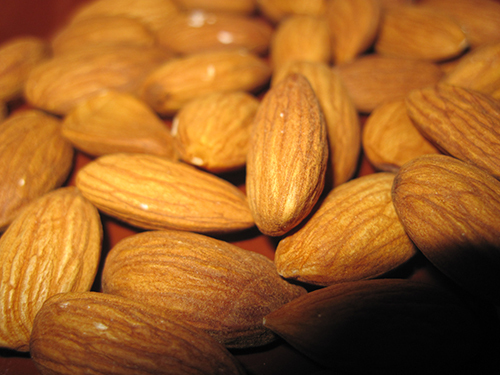 I take extra care at home to soak the almonds over night in filtered water and rinse them well in the morning. You then have what is referred to as sprouted almonds. Almonds don’t actually grow a tail unless you soak them for at least 24 hours. But soaking them for 8-12 hours gets them to the sprouting stage and will release the enzyme inhibitors making them easy to digest and more nutritious. I happen to have a dehydrator so I can then dehydrate them to get all the water out after I’ve soaked them. This allows me to store the “sprouted” almonds in my pantry and use them for making almond milk, almond butter or just snacking on. I have heard some people putting them in the oven for several hours on the lowest temperature available. If almonds still have some water in them, you will want to store in the fridge and only make what you will eat within a week. The quality of the almonds matters when making nut milks or butters for optimal taste. I find my almonds at nuts.com and choose the raw, unpasteurized, organic almonds from Spain. They don’t have to pasteurize the almonds in Spain which allows for all the nutrients to be in tact. 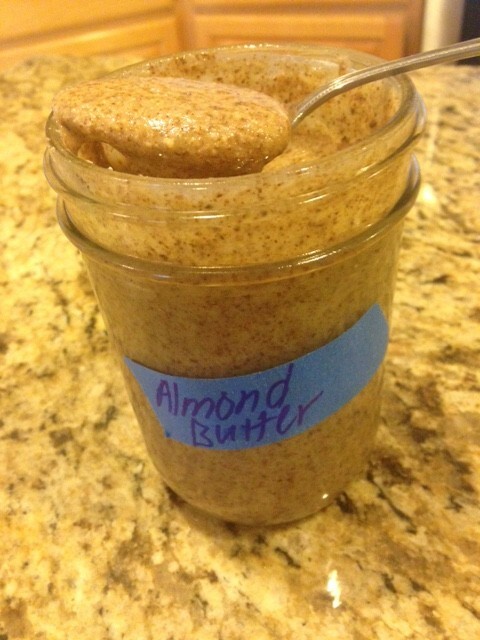 Do you know that raw, sprouted, organic almond butter in the store costs about $30 for a 16oz jar? Powder nuts/seeds in food processor or blender for 1 minute. Drizzle oil and sea salt and blend until nice and creamy (2 minutes). Add more oil as appropriate. Put in mason jars with tight lid and refrigerate (makes 1 cup). *Use an oil that is healthy and doesn’t have much taste. Almond oil is one of those and can be used if making sunflower seed butter as well as you will still maintain the sunflower seed taste. Your nut butter will harden some when refrigerated. Be sure it is extra creamy before jarring. Experiment with other flavors like cacao powder, cinnamon, vanilla powder, maple syrup, honey, etc. I personally like mine plain and rich with just a bit of sea salt. Enjoy and share your recipes with us!